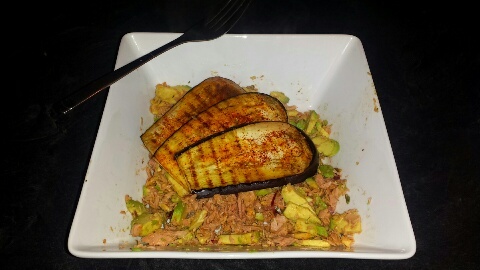 I got back late from work tonight and was looking for something quick and healthy, I still had some of my avocado salsa left from Monday night (see spicy salmon recipe), so I decided to mix it with a tin of fresh tuna, quickly griddled my leftover Aubergines and voila, a lovely tasty healthy dinner. It was yummy. 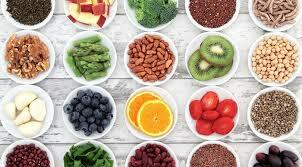 Mix all in a bowl and serve. Slice Aubergine about 1cm thick, rub with oil and griddle for approx 2-3 mins each side.